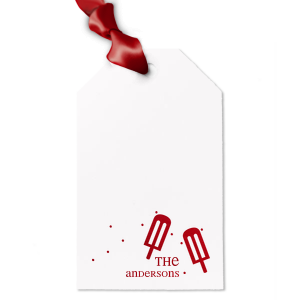 Give your party favor bags a special touch of personalization with custom designed kid birthday luggage gift tags! Kids like parties, and kids love party favors. Make sure yours are a hit! Theme your favor tags by selecting a style below or creating your own in the FYP Customizer. 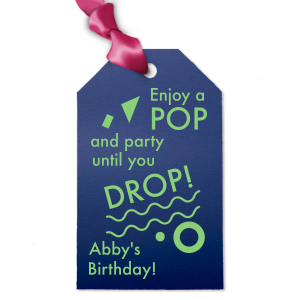 Take your child’s birthday party favor bags up a notch with personalized kid birthday luggage gift tags. 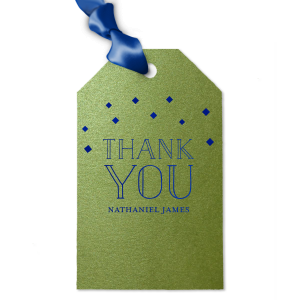 Express your thanks to your party guests on a high quality, foil stamped customized kids birthday luggage gift tag. 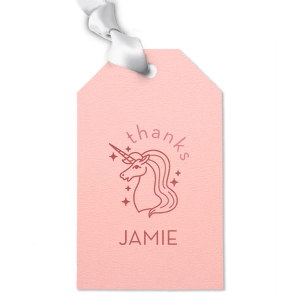 Choose a kid birthday luggage gift tag paper color that coordinates with your party theme, then peruse the foil stamping options to find the color combination that you need. Browse our galleries of design ideas to find a design that expresses your thanks perfectly. 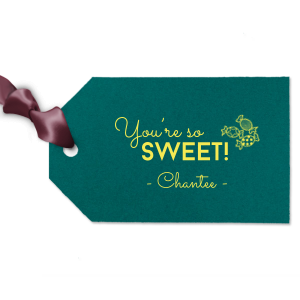 You’ll love the way your custom designed kid birthday luggage gift tags pull together your party favor bags- order yours today!